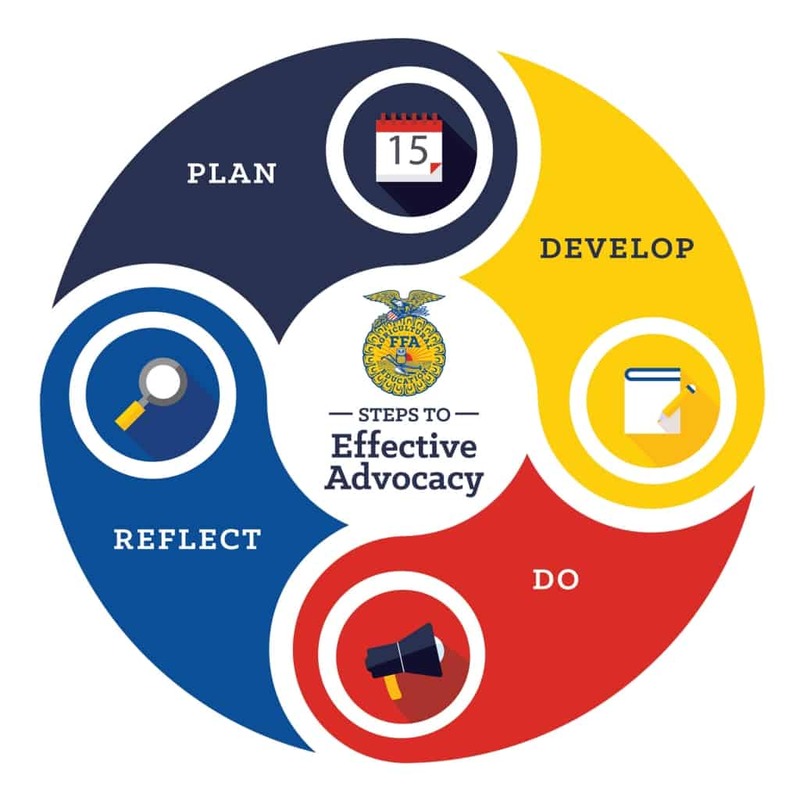 National FFA’s Agricultural Literacy and Advocacy Platform spans programs, initiatives, and award areas across the organization. 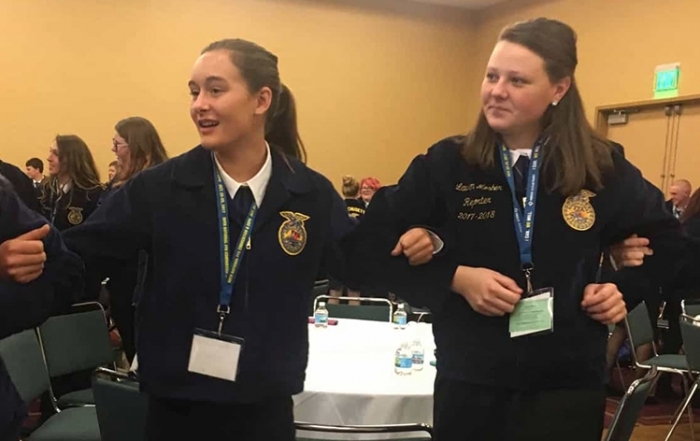 For example, state FFA officers attending the State Officer Summit become literate in agricultural education, agriculture, and FFA and then advocate for their causes in our Nation’s Capital; students competing in the Ag Issues Career Development Event study and research a current event in agriculture and then present and debate all sides of the issue; and chapters applying for the National Chapter Award must answer how they advocate in their communities. 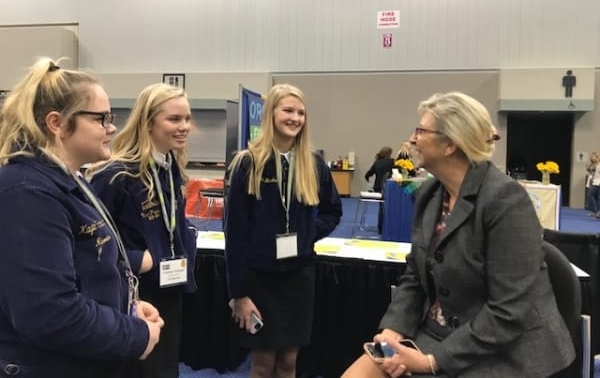 Through programs like these and the 4-step effective advocacy model, National FFA is providing a suite of skills to create a healthier understanding and dialogue about food and agriculture across the world. Define the issue: What is the challenge we are facing? Analyze: What is the vital information we need to know and where can I find it? Understand our audience: Who are we trying to influence? Objectives: What do we want to accomplish? Key Message: What are our important talking points for our defined audience? Develop Plan: What are the steps that we need to take to achieve our objectives? Collaborate: How can we partner with others to strengthen advocacy efforts? Execute: How are we using what we know? Raise awareness: How do we promote our advocacy efforts and gain support? The fourth and final component of advocacy is reflecting on our outcomes to improve for future opportunities. It is important to collect information during our meetings so we can learn from others, just as much as they learn from us. Monitor: What information can we collect that will demonstrate impact? Review: How well did I achieve my objectives? Adapt: What changes can I make to improve? Agricultural advocacy starts with agricultural literacy. Check out the below topic one-pagers and lesson plans to learn about current issues that are affecting the agricultural community. 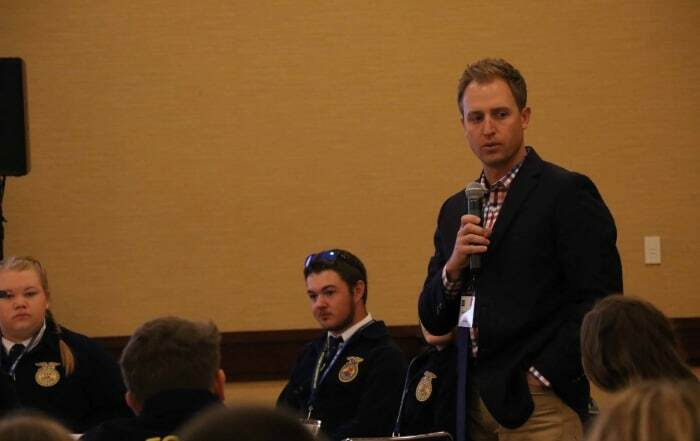 The #SpeakAg Dialogues are a forum for intelligent discussion, sound reason, and effective conversation to transcend the polarized opinions of today’s society, and to instead expose student members to multiple sides of hot button agricultural issues. Learn more about the #SpeakAg Dialogues through the videos and lesson plans posted below. 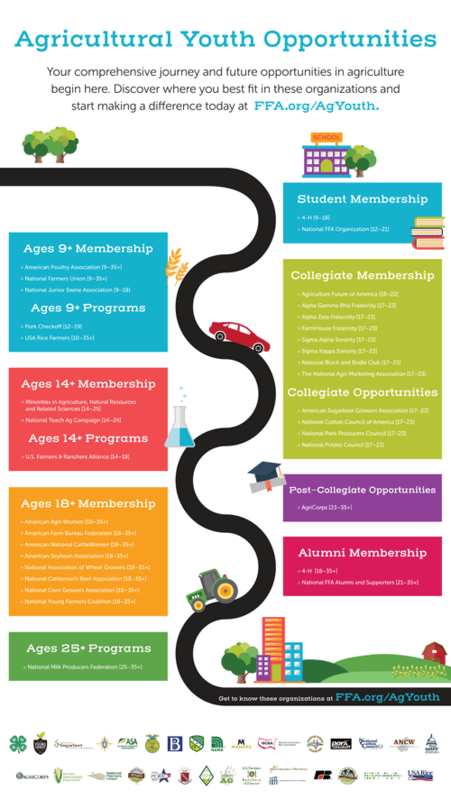 The Agricultural Youth Opportunities Roadmap is a one-stop-shop for youth ages 9-35+interested in pursuing memberships or opportunities in food and agriculture. 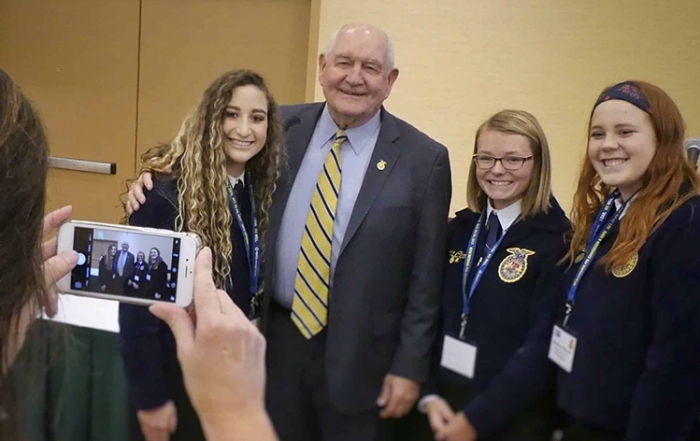 The National FFA Organization and other participating organizations launched the roadmap at the 2018 National Ag Day Student Program Luncheon at the U.S. Department of Agriculture. Your comprehensive journey and future opportunities in agriculture and food production begin here. Discover where you best fit in these organization and start making a difference today!